Simon is a civil and commercial mediator, following a career as a barrister and senior civil judge in Yorkshire and the North East. 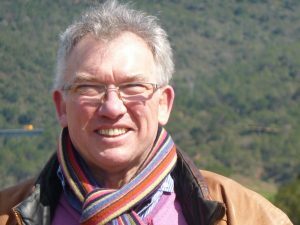 He also works as a community mediator with ARCH Resolution in Harrogate and as a Restorative Justice facilitator in the Leeds and West Yorkshire area. John is 69 years old. He has lived in the Harrogate area for 42 years. He practised as a barrister in Leeds for 22 years specialising in property, trust, landlord and tenant, insolvency and other commercial disputes. He was the Specialist Chancery Circuit Judge in Leeds and Newcastle fr om 1996 to 2006 dealing, amongst other areas, with similar matters to those he had dealt with when in practice as a barrister. He retired as a full time judge in November 2016 and has been a trustee of Harrogate Citizens Advice since the middle of 2017. He is married with two grown up children. John is a retired corporate director with extensive business and people management experience in the chemical and market research industries. His previous trustee roles in the voluntary sector include Emmaus and Hamara in Leeds, The Mustard Tree in Hurworth and Abbeyfield Housing in Ripon. John’s wife, Adele, is a priest in the Church of England with Advisor experience in Citizens Advice as well as counsellor experience with Relate. Together they are classic representatives of the sandwich generation with two children; John a GP in Lancashire and Claire a wine expert living in Kent with children of their own and Del’s parents who are both over 90 live in dependently (just) on the south coast near Chichester. They are a sporty family – increasingly more watching than playing – who travel a lot and enjoy the arts. John looks forward to helping Citizens Advice in Harrogate, Ripon and Skipton secure and improve their role in the wider community for many years to come. Before retirement in 2016, Denise worked for 18 years as a senior leader in education. Her roles were wide ranging but included recruitment, curriculum, pastoral care, appraisal and all other roles associated with running a group of schools. During this and previous roles she gained many skills which she now offers in a voluntary role. As well as becoming a trustee for Craven and Harrogate Citizens Advice, she has also acted as chair of governors for a local school. She has lived in Ripon for 20 years and have found it helpful to join the Ripon team meetings, giving me a valuable insight into the many roles of the Citizens Advice. Christine qualified with a law degree and information qualifications. She spent her early career in legal information work and then founded and ran a legal information publishing company. She qualified as a generalist CA adviser 15 years ago, whilst still working, and volunteered in this capacity at the Skipton Office for over 14 years. After retiring from “the front line” in March 2018 she wished to continue her involvement in the organisation and was delighted to be accepted on to the Board in July. Karen is currently studying for a PhD in the School of Sociology and Social Policy, considering how inequalities could reduce from effective vocational education routes. She returned to study after a career in educational leadership in schools in areas of high deprivation with performance challenges, to develop her research skills in evidence based policy. She brings strategic planning skills, knowledge of multi agency working and her current academic work to support the ongoing development, sustainability and impact of Citizens Advice Craven and Harrogate Districts, helping to ensure that inequality is reduced in our area by our actions. 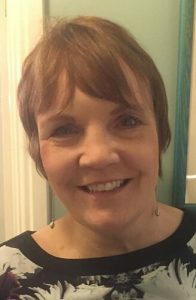 Following graduation from York University Nanci’s working life started as a Personnel Officer with the Post Office and in 2005 she became a Chartered Fellow of the CIPD. Her long-term interest in justice within employment began whilst working at an Industrial Training Board. In 1988 she was appointed to the Leeds Employment Tribunal where she still sits as a lay member. For 30 years she was Managing Partner of a leading consultancy specialising in the development of occupational standards, qualifications and accreditation systems for technical, vocational and professional occupations which took her all over the world. She has always admired the work of the Citizens Advice movement and is very interested in governance and strategy, both of which are very challenging in the current economic climate. Roy spent most of his working life in education and has always been involved in community support activities. He was Treasurer and later Secretary of Crosshills and District meals on wheels, supporting 100+ people each week, roles which ceased when the service became a luncheon club. He established a community volunteers’ group, helping fellow villagers with gardening, decorating and shopping. 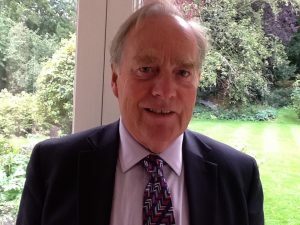 He has been a school governor and also been a Trustee and Chair of the Clough Charity which uses the returns from investments and donated foodstuffs to benefit those in need in three local parishes. 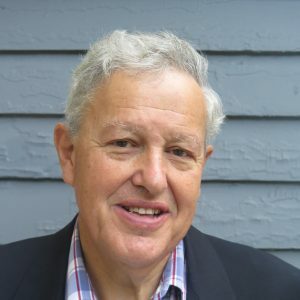 Currently, as well as being a Trustee of Citizens Advice Craven and Harrogate Districts, he is also a Trustee of the Drake and Tonson Foundation. This educational charity was created in the 1940s to help higher achieving students from modest backgrounds, especially women, to go to University. Kate is a retired GP with specialist expertise in skin diseases. She qualified from Oxford University in 1987 and after training in London, she moved back to her northern roots in 1993, becoming partner in a Harrogate and Knaresborough practice in 1997. Kate suffers from juvenile macular dystrophy and as a result of her visual impairment took early retirement in 2010. She subsequently volunteered for and was director of Harrogate Samaritans. Having hugely benefitted from having a guide dog herself she is a keen volunteer for Guide Dogs. Ka te has long recognised the crucial role Citizens Advice plays, her father having been a volunteer adviser in Cheshire for many years, and having herself witnessed at first hand the close relationship between social problems and physical and mental health issues. As a Trustee she is particularly focused on governance and ensuring a strong digital profile for local Citizens Advice.